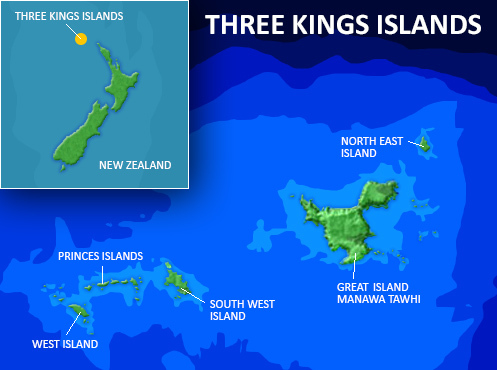 A team of scientists from five organisations are taking part in the Three Kings Islands Marine Expedition to collect and record the diversity of the rich marine life in the waters around these remote islands of New Zealand. The islands are home to rare and unique species that occur nowhere else in the world. 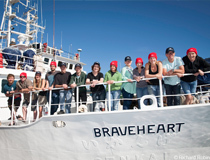 This means it’s likely the team will find marine life that are new records for New Zealand or even for science. Two underwater photographers and a science communicator are helping the scientists share their findings as they happen during their two-week expedition. Through underwater videos, photos and interviews on the blog you'll be able to discover some of the incredible marine life in the Three Kings Islands and meet the scientists as they carry out their research.